Start seated in a chair with your back supported. Hold the bands with both hands low and to your side. 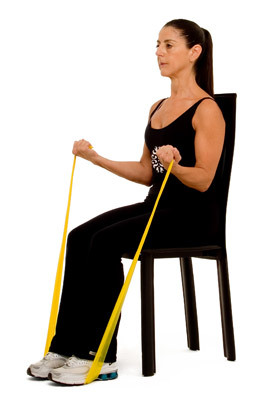 Bring the bands up to chest level by flexing your elbows. Resume the starting position. Repeat 5-10 times.